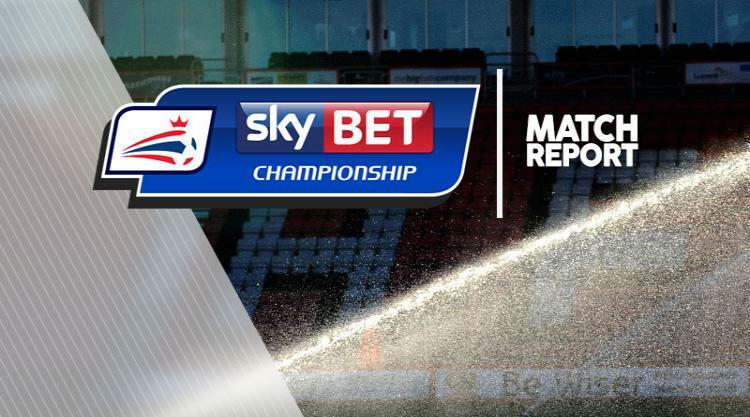 Brave Blackburn were relegated to Sky Bet League One despite a spirited 3-1 win at Brentford. The visitors made the dream start when Charlie Mulgrew curled home a goal-of-the-season contender with a superb dipping free-kick from the edge of the box after just 10 minutes. And the travelling Rovers fans were in raptures six minutes later when Danny Guthrie pounced on a half-clearance to fire home past Bees goalkeeper Daniel Bentley, who had an obstructed view of his effort. At that stage it looked good for the hordes of travelling fans but as results from the City Ground and Ashton Gate changed, so did the complexion of this game. Brentford clawed their way back into it just before the hour mark when Lasse Vibe touched home Harlee Dean's cross at the near post. But defiant Blackburn, buoyed by Dean's sending-off for a professional foul on Marvin Emnes a minute later, kept pressing forward and got their reward when Craig Conway converted the spot-kick. Tony Mowbray's side were good value for the win as they showed far more desire and passion, harrying and chasing the Londoners throughout, but ultimately results earlier in the season had caught up with the Lancashire side. Brentford, who fielded a full-strength team, were second to almost every ball with Rovers' striker Sam Gallagher a constant headache. Jota provided most of the hosts' highlights in a below-par first half, twice curling wide when he found a way past Blackburn's well-drilled defence. Gallagher came close to stretching Rovers' lead on the half-hour though when he was inches away from connecting with Elliott Bennett's searching cross to the far post. But the visitors had goalkeeper David Raya to thank for keeping their two-goal cushion intact when he pulled off a full-length fingertip save to deny Vibe's low drive. The goalkeeper had to be at his best when Brentford enjoyed a purple patch after the hour mark when he tipped pile-drivers from Jota and Vibe over the crossbar. At the other end Bees goalkeeper Daniel Bentley had to be at his best to thwart Bennett late on after Danny Graham wasted a gilt-edged chance to give the game a more emphatic scoreline. Nico Yennaris headed agonisingly wide for the hosts after a neat cross from Alan McCormack, but Brentford lacked the passion and desire of Mowbray's side and were second for long spells. Rovers defended stoically and refused to give Jota or Sergi Canos a clear sight of goal all afternoon, leaving the visiting fans wondering why they had not produced this form all season.